Elon Musk’s Tesla, Inc. has been creating plenty of buzz recently with its many outrageous projects, including Hyperloop and the very recent SpaceX launch of the Falcon Heavy. With its bold, game-changing ideas, what is next for Tesla? Only recently, Tesla announced its plans for the Tesla Semi Trucks, well on their way to production by 2019. However, people have wondered why there was little to no information about the innovative trucks’ charging mechanism. Bound to disrupt the trucking business, Tesla is reportedly collaborating with major brands Anheuser-Busch, PepsiCo, and UPS for their on-site charging terminals. The Tesla Semis are limited only to routes that are just enough to get to and from their destinations and points of origin before running out of their batteries – at least, for now. On their own, Tesla is also going ahead with their plans of creating charging stations, selling electricity to Tesla drivers passing by to recharge their trucks. They already operate over 1,100 “supercharger” stations for people who drive Tesla passenger cars, so having a similar network for their truck chargers is almost a no-brainer. Musk has previously spoken about creating these “megachargers” and claiming they could charge a Semi battery in just 30 minutes. He claims the 30-minute megacharging session can add an impressive 400 miles of range to a Tesla Semi. Analysts say this means a charge rate of as much as 1.6 megawatts. As for the specific time window, Musk said it is because it takes about 30 minutes to load and unload a truck – thus, truckers would not lose time as their trucks are charging at their stops. He also said they are offering a guaranteed rate of seven cents per kilowatt hour (kWh) at the megacharger stations, further optimizing savings versus how much the same amount of fuel conventional diesel trucks use. A Tesla spokeswoman confirmed they are working closely with customers regarding these Semi charging stations. Some of the biggest names in various industries have confirmed their partnerships with Tesla, but none have disclosed cost estimates regarding building their own chargers. Anheuser-Busch ordered 40 Tesla Semis. According to James Sembrot, their Senior Director of Supply Chain, the company is evaluating the thought of installing their own charging equipment to certain key locations such as their large breweries. “What was important to us was to make a big investment in this cutting-edge technology and secure our place in line,” he said. UPS ordered the largest amount so far, with 125 Tesla Semis. They expect to work closely with the innovative auto company when it comes to building their on-site charging stations. Loblaw Companies Ltd, a grocery chain based in Brampton, Canada, said they will most likely turn to solar power when it comes to charging their 25 pre-ordered Tesla Semis. According to Loblaw spokeswoman Catherine Thomas, the company was considering not just Tesla but also “a few other companies” when it comes to both design and technology. 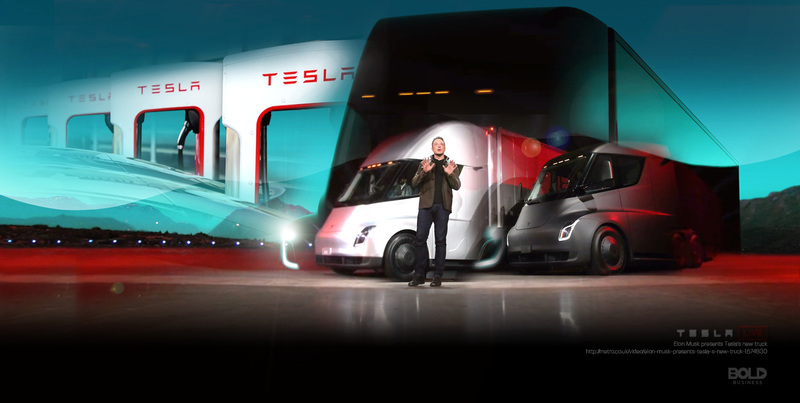 Many other big companies have placed multiple orders for the Tesla Semi, including: Walmart, DHL, Meijer, Sysco, JK Moving, Asko, Ryder, and J.B. Hunt. This list is among several others that had single orders of Semi trucks. While Tesla is breaking into and wanting to disrupt the trucking industry, it still has a few competitors out there. For example, Thor’s ET-One is bound to hit the roads around the same time the Tesla Semi will in 2019. ET-One has a 300-mile range off a single charge and a competitive $150,000 price tag that is the same as Tesla’s own 300-mile model. There are also a number of other electric heavy-duty and semi trucks in the market. 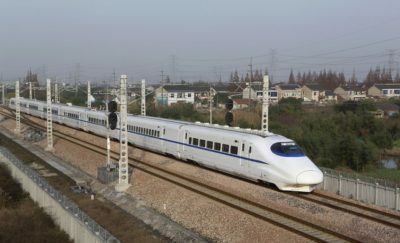 For example, Efficient Drivetrains Inc (EDI) has several hybrid and all-electric retrofits, with many of their business occurring in China. Orange EV also has their all-electric terminal truck, and sold 10 of their T-Series to intermodal rail yard operator Rail Management Services. 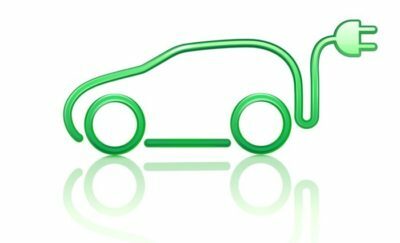 Orange EV claims the use of one truck could displace as much as 160 tons of carbon dioxide emissions a year, as well as 1.7 tons of nitrogen oxide emissions, 1.6 tons of carbon monoxide emissions, and as much as 80 kilograms of particulate matter. They have Extended Duty (160 kWh) battery packs as well. Other notable competitors include Motiv Power Systems with their Motiv All-Electric Powertrain, BYD’s plug-in electric trucks, Wrightspeed’s hybrid powertrains (notably created by Tesla co-founder Ian Wright), Switzerland’s E-Force One 18-ton trucks with a 300-kilometer range, and the collaborative effort of Renault & Groupe Delanchy’s 13-ton all-electric refrigerated box truck meant to deliver produce in parts of France.